Why not work on your wellness, whilst at work! Our Grounding Desk Mats provide a smart, professional, unobtrusive method of keeping yourself earthed whilst at work. They are made out of high quality durable rubber infused with conductive carbon. The mats provide a smart and professional way of grounding your entire body with the minimum amount of fuss or disruption. High quality finish giving a subtle and professional look. Easy to use – simply place on your desk and plug in. Provides efficient, stress busting grounding all day. Helps improve mood, focus and productivity. Can be used as a Mousemat. The Desk Mat works by inducing a safe and gentle flow of free electrons from the earth into your body. These electrons neutralise any harmful positive electrical charges in the body, charges which can be the cause of many inflammation based health issues and have a detrimental effect on your health and wellbeing. 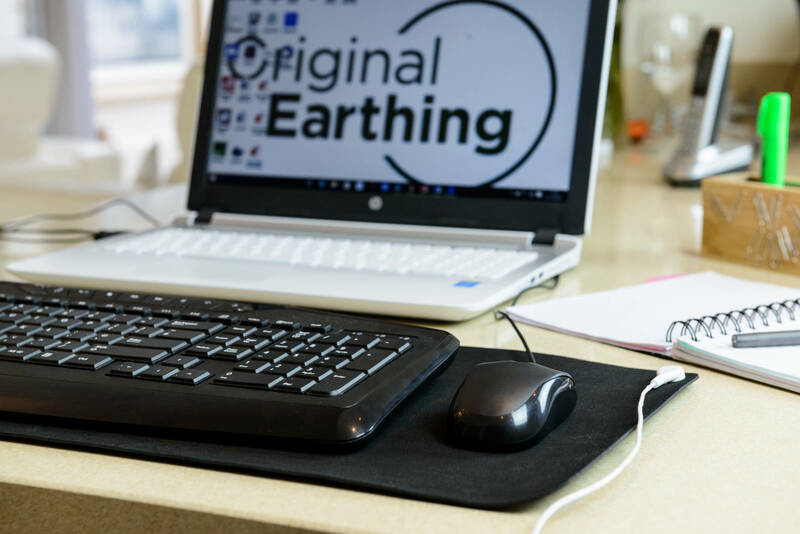 Our Desk Mat is designed to work by itself or in conjunction with other earthing products to promote increased vitality, good health and a general feeling of increased wellness. 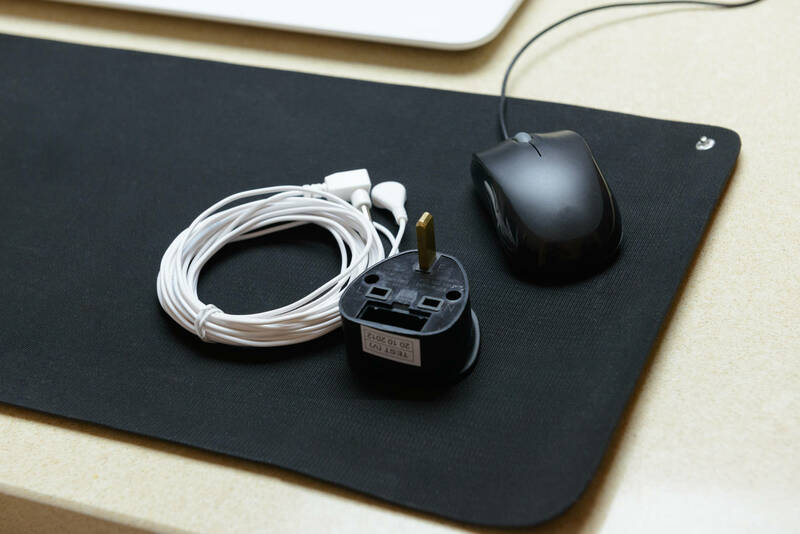 The desk mats measure 60cm x 25cm and come complete with a UK Plug as standard as well as all the cables and connections you need to get earthed right away.